If you’re considering outsourcing your call center, it can have many advantages according to 3C Contact Services, the leading provider of third-party outsourcing solutions. The main reason for outsourcing your call center is, of course, saving money. 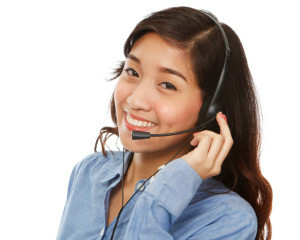 But beyond that, there are other factors you must take into account if you’re planning to outsource your call center. That’s why you should have clear goals beyond saving money when outsourcing your call center. However, there are reasons for outsourcing beyond saving money. Sometimes, an organization may wish to outsource its call center to a professional organization who is capable of doing the best job. Saving Money: As mentioned at the beginning of this article, the biggest reason our partners outsource is to save money. However, if you try to save too much, such as by outsourcing to a foreign country, you may end up spending the money you saved on travel costs, long-distance bills, and other fees related to offshore outsourcing. Frees Up Space: Perhaps one of the biggest advantages of outsourcing your call center is that it frees up space at your office. Moving agents, equipment, and training space to another location will leave you with valuable space to expand your operations with. Improve Customer Service or Tech Support: A good call center, regardless of where it is located, will have agents who are well-trained and can handle any situation in a professional manner. New Technologies: If your call center is part of your business, running other facets may not allow you to keep up with the latest advances in technology. A dedicated call center will focus on staying abreast of the latest advances and leveraging them onto your customers. Competitive Advantage: Outsourcing your call center can give you a leg up on your competition. That’s because it gives you the chance to improve your capabilities and standards, allowing you to build customer loyalty and position yourself as an organization that takes extra care of its clients. Freeing Up Your Staff: Moving your call center to an outside location frees up your staff to focus on important day-to-day operations at your business. A call center requires agents, supervisors, and managers, so operating as a separate entity means that you will have one less thing to worry about. New Ideas: An outsourced call center stays on top of the latest customer service concepts. This is valuable information they can, in turn, pass on to you to leverage onto customers. 3C Contact Services reminds clients that these seven points are a small part of a bigger picture that includes offering the best products and service at an affordable price. This can be a challenge for many organizations, but if you are committed to providing your customers with the best service provided by highly trained and professional call center reps, keeping and maintaining customer relationships is a breeze! Pike, L., “7 reasons to outsource your call center,” Tacamor.com, November 15, 2011; http://www.tacamor.com/talkamore/7-reasons-to-outsource-your-call-center/.